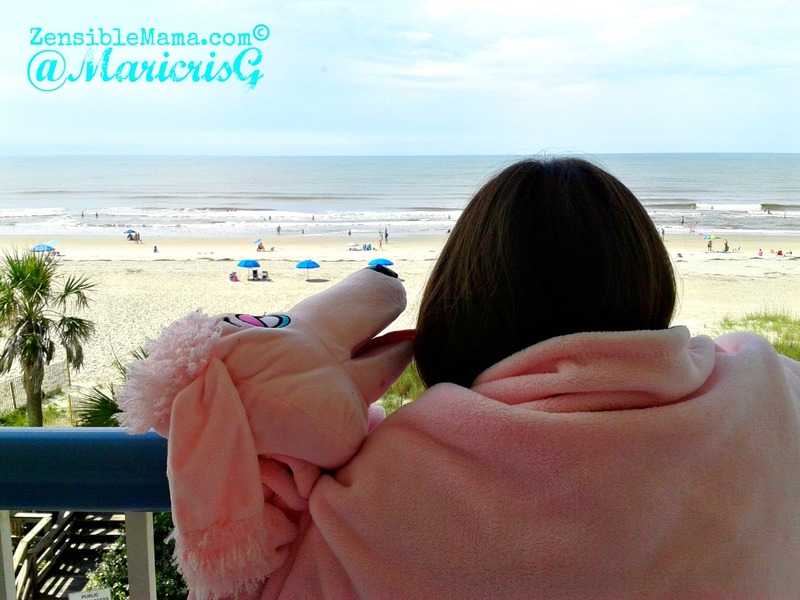 All cuddled up with the Pink Poodle CuddleUppets @ the beach! During our recent trip to the beach, my daughter enjoyed traveling with an excitable buddy that she also spent a lot of time cuddling with whenever she gets the chance! I don't blame her, her travel buddy is quite fun and kept her warm during those cool, breezy nights at the beach! A versatile blanket that also doubles up as a puppet. Now that's twice the fun! This blanket is quite a treat for girls who loves pink! The Pink Poodle is definitely a charmer and is beyond adorable. My daughter couldn't get enough of it. It's almost like being a baby again and attached to her favorite blankie! She truly enjoys the CuddleUppet. It keeps her company at night and give her endless puppetry fun with her friends during playtime. The CuddleUppets features good quality from the design of the puppet head which is embellished with embroidery to its appealing overall visual detailing, including 4 paws and a tail. The fabric is made of soft fleece and the length of the blanket at 30"x40" is relatively big enough to cover even me. And the great thing about it is that the blanket is recommended for all ages which means even I, get to have fun with it! Recommendation: This blanket would make for a perfect gift and a fun blanket for those looking for something completely extraordinary and unique! May also make for a great Baby Shower gift idea. 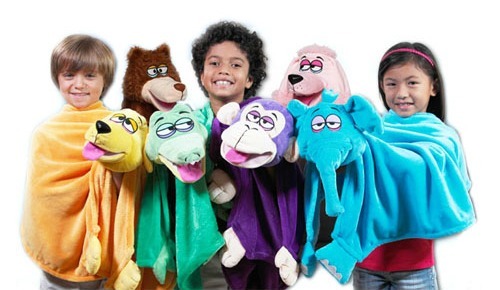 CuddleUppets are available in 6 styles as shown in the picture above. Retail value is $19.99 with bulk purchase discounts direct on product site. Amazon retails for $24.03. Which of the blankets appeal to you the most? Too cute! Thank you for posting! !